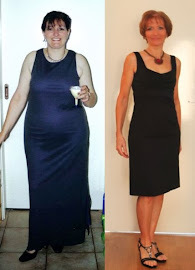 FitBody Fifty: Help me out, would you? I've just installed a new comments system by IntenseDebate, which appears to be the bee's knees. It allows threaded commenting, which is way better for me to be able to respond directly to individual comments. And hopefully it will promote more interactive discussions too. I've done a bit of testing, but I'd like to check that it works OK for everybody. So, please leave me a comment on this post, just so I can make sure all log-in options are working. You can post as a Wordpress, Twitter or OpenID user. I'm going to enable Facebook logins too, but there's a missing step in the instructions and I haven't had time to search for the solution.... You can also use your IntenseDebate ID if you have one, or just post as a guest. I've turned off comment moderation, so we'll see how that works out. This baby has Akismet all synched up, so hopefully spam shouldn't even be an issue. EDIT: Thanks to those who've left test comments - or tried to. I can see there's a problem with the comment link not appearing via the home page. It should be there according to my settings... I suspect it has to do with my custom CSS template and will require some coding. Blah. Meanwhile, if you arrived here via the home page, just click on the post title and wait a few seconds, the comment box should appear below the post. I'll find a solution, or die in the attempt.